First of all I have made some Changes on my blog. I have just added a widget for anyone who want to follow my blog on Bloglovin. And I have also removed the posibility to follow via e-mail. I also want to make a "facelift" on my blog but for now I don't have the time for that. Well well, over to my little corset. 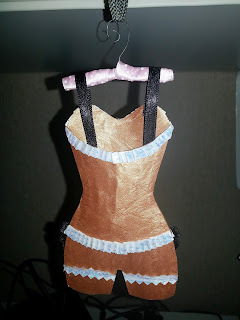 I found this template and a tutorial video for this little cute corset at Kell Belle Studio, and I just had to try to do one myself. 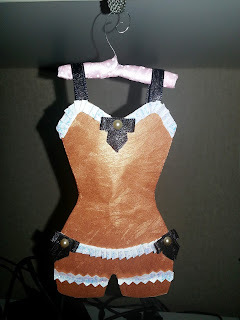 She has lots of corset templates and also 2 tutorials for very cute hangers. So hop over to her blog and give it a try :) They are very fun to make. It is in 3 D and this is how it looks from behind. If you do a halterneck instead of shoulder ribbons you can use it as a tagholder for example a bottle of wine. 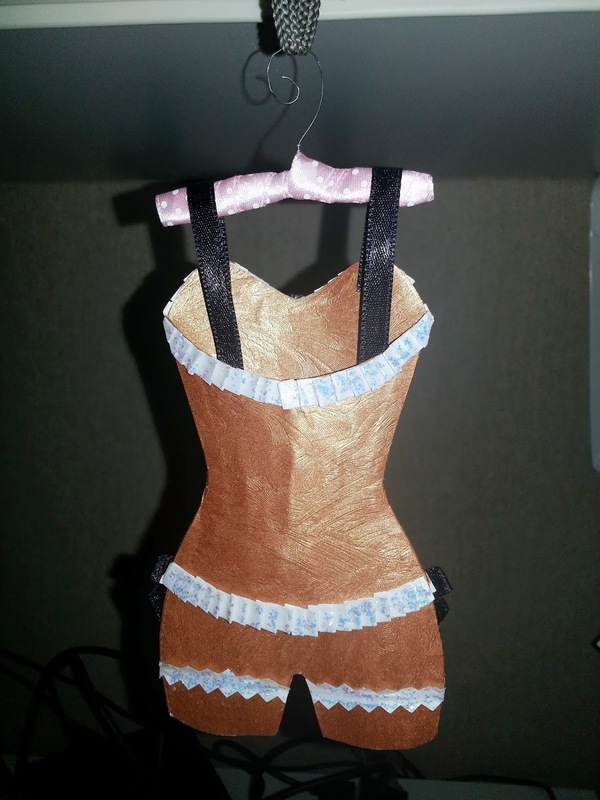 Or why not use it as a decoration for a card? I traced this template in Studio and cut it out. 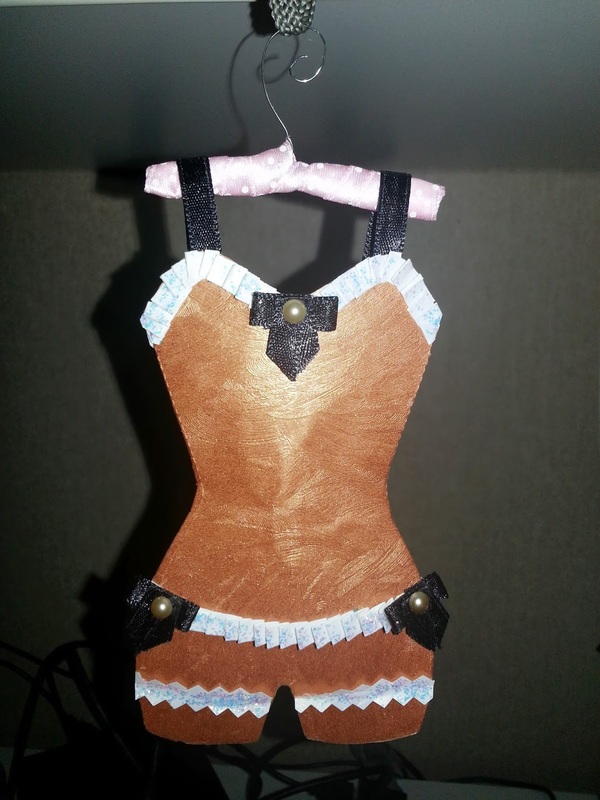 I added the extra space around the front part in Studio also (you know what I mean when you've seen the tutorial of her first corset). That way you can decide the size of it that you need. I'm back! :) I have had a wonderful summer so far and it isn't over yet. I hope I will have more time for my blog and my designs in Studio from now on but it probably take a few more weeks before it's back to normal again. So enjoy this for now and I shall be back with more freebies in the near future. But once in a while I've got a moment to create a file to share here at the blog. This time I did some ties and a jacket. You can use it for birthday-cards or fathers day-cards or to any other project for a man. 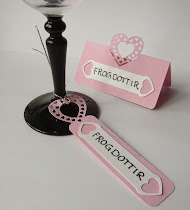 The tagshaped cards I made last week and the lovely tealight card I made this weekend (I haven't shown the tealight card here on the blog yet) is, as I said in my last post, prizes in a lottery we are going to have this weekend. I just wanted to share the tag I made for the giftbag with you. I've used the card tag as a base when I created the giftbag tag so that it goes along with the cards. You can download it below. Hope you enjoy.